The calendar says that it’s spring, but so far since the snow has thawed we are still experiencing cool nights by the campfire. 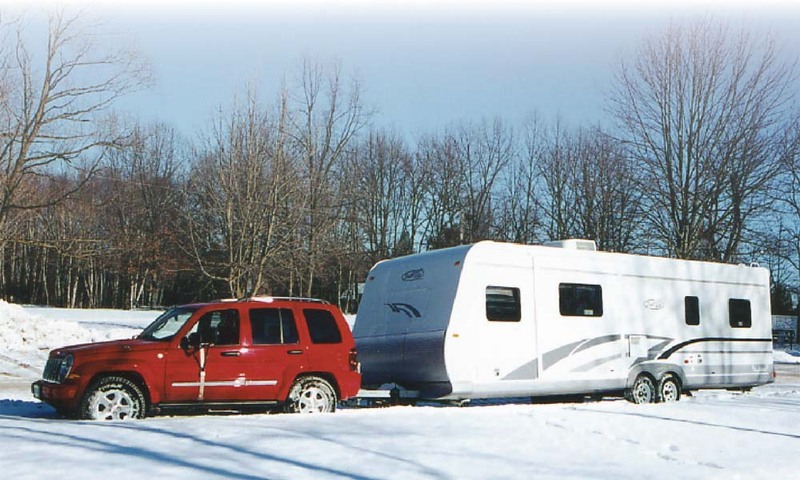 As many Canadian RV’ers are already gearing up for their first trip of the season, warmer weather is always welcome. The generation of added heat in your RV can make that first (or even second) trip a lot more comfortable when the temperature starts to drop. In addition to pulling an extra blanket over your head in the middle of the night, heat can come from many other sources. The common sources of heat, of course, are catalytic heaters, space heaters, forced air furnaces, hydronic hot water heaters, and under-floor radiant heat. The generation of added heat in your RV can make that first (or even second) trip a lot more comfortable when the temperature starts to drop unexpectedly. Catalytic heaters are the preferred heating system for tent campers and use a catalyst that converts a fuel such as kerosene, white gas, or propane to heat without flames. For the catalyst heater to work, it needs to be heated first with a low flame. It then uses oxygen (from the air) to maintain combustion of the fuel. To use, after filling the fuel tank, take it outside and pour a small quantity of fuel on the catalyst. Apply a flame to the surface and when the flame of the heater dies down, the surface will have a soft glow. It’s then safe to take it inside the tent or tent camper for the night. Keep in mind, however, catalytic heaters require a good source of air for proper combustion of the fuel to prevent the formation of carbon monoxide. There is sufficient air that flows through the walls of a tent to burn the fuel properly. When catalytic heaters are used in a travel trailer or motorhome, it is important to remember to open a roof vent at least one-inch high to allow enough fresh air to enter so the oxygen in the air is not depleted. Since the heater consumes oxygen from the air, this air has to be replaced so you can continue to breath. The big advantage of catalytic heat is that it does not require the use of precious 12-volt battery power when dry camping. More modern catalytic heaters available in Canada, which have an adjustable output from 1500 to 7600 BTUs, are built by Northstar and Olympian and are permanently mounted on a wall near the doorway of an RV. When you are using your RV in severe cold weather, a good insulation package is important to prevent the water system from freezing up. The next option for heat is a space heater, which can be used in many smaller trailers. These are fired by the use of propane in a closed combustion chamber and takes its combustion air from the outside of the camper. This style of heater has a pilot light that ignites fuel when the thermostat calls for heat. A small safety device called a thermocouple shuts off the main gas if the heater pilot light flames out. A copper bulb filled with an inert gas is located near the floor to sense the temperature of the air in the camper. When heat is required, the pressure inside the bulb will be low and allows the gas valve to spring open. When the temperature rises, the gas inside the bulb expands and forces the valve to shut off the flow of propane. This type of heater doesn’t require a 12-volt connection as it doesn’t have a blower to move air around the unit, so it is an ideal heat source for camping in very rural areas. As RVs became larger, heaters were built to produce more BTUs of heat. Blowers and ductwork were also added to distribute warm air throughout the RV. When the 12-volt thermostat signals for heat, it starts a blower motor and brings fresh air into the combustion chamber. When there is sufficient air for combustion, the gas valve opens and allows fuel to flow to the main burner. This type of furnace uses a standing pilot flame to ignite the main burner. It takes combustion air from outside the trailer so it’s not necessary to keep vents or windows open to let fresh air in. If the floor heat registers are closed or covered by carpets, they prevent the warm air from getting out of the ductwork and the combustion chamber can overheat. If this happens, a safety thermal cutout shuts off the gas supply. Since the thermostat of this type of furnace doesn’t sense whether heat is needed without 12-volt battery power, and as the blower needs the 12-volts to distribute the heated air, this causes a lot of campers to look for electrical sites in campgrounds to prevent their batteries from draining during the night. As technology improved, furnaces started featuring electronic circuit boards that control the propane valve and starts the flame in the main burner with an electrical spark. These are called Direct Spark Ignition (DSI) systems. This eliminates the need to lie on the floor to light the pilot flame with a match or piezoelectric sparker. Since there is no pilot light, this conserves a small amount of propane fuel. When the 12-volt thermostat signals for heat, the blower runs for at least 30 seconds to bring in fresh combustion air from outside and purge the combustion chamber of any left over gases. The electronics then open the gas valve and create a spark to ignite the gas. If the flame doesn’t ignite, special electrodes in the flame path send a signal to the ignition board to safely shut down the gas supply from the main valve. These newer furnaces have high temperature thermal cutouts to safely shut down the furnace in the event the combustion chamber becomes too hot as the hot air is not able to flow properly through the ductwork. It’s very important not to cover the registers or shut them off with the control levers. In fact, these registers should be redesigned so the lever can move enough air to redirect the heat, but not shut off the air flow entirely. Some trailers and motorhomes use tubular heat ducts with a coiled wire inside to keep them round. However, you have to be careful not to crush these ducts by storing objects on top of them. If your batteries are low in your camper, the blower fan cannot bring in sufficient air for the burner to start. As a result, the furnace only blows cold air. Some newer motorhomes have what are called hydronic heating systems, which are similar to hot water heating in old houses. 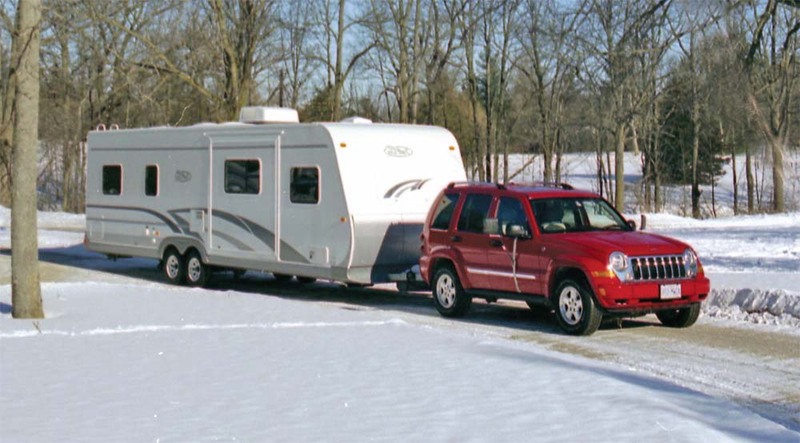 A solution of water and antifreeze is pumped through a system of pipes and small radiators that are distributed throughout an RV. The fluid in the lines can be heated from the heat of the engine when driving down the road or from a small diesel or propane fired boiler system. Some of these radiators have 12-volt blowers so air draws across the fins of the radiators to produce a better distribution of heated air. Many of these systems can be connected so hot water flows through the block of a diesel-powered motorhome to preheat the engine for improved starts on a cold day. It can also be used to heat water that’s normally used for showers and washing (with the use of a heat exchanger on a regular hot water tank). This system anticipates sudden demand for heat by starting the boiler as soon as the outside temperature drops or cold air enters when someone opens a door to the outside. A new concept of heating that is being introduced in higher-end motorhomes and bus conversions is radiant electrical heating, which is similar to what is used in some residential homes. Electrical heating panels are installed under the floor surfaces that produce heat from the electricity provided by a 12-volt system, an auxiliary generator or from electricity in the campground. When you are using your RV in severe cold weather, a good insulation package is important to prevent the water system from freezing up. Heating pads can be placed under each holding tank or on any water or drain pipes that might be exposed to cold air. Some people even equip their RVs with double pane windows or opt for an extra insulation package so they can use their RV at ski or snowmobiling resorts. We put a lot of investment into our RV lifestyle, so anything that allows us to extend our enjoyment of the different seasons will pay off in great camping experiences.